This year we did not go shopping on Black Friday. Not even to buy a single pair of socks at the annual Fred Meyer 1/2 price sock sale. Not even for flannel at JoAnn’s. Nothing was shopped for. Instead, we went with family members to a very special outing. 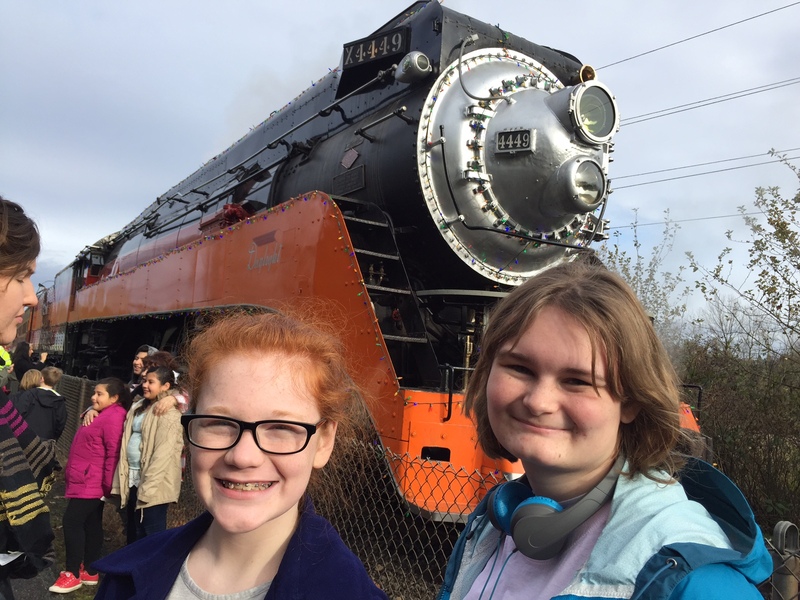 We went to ride a historic holiday train. 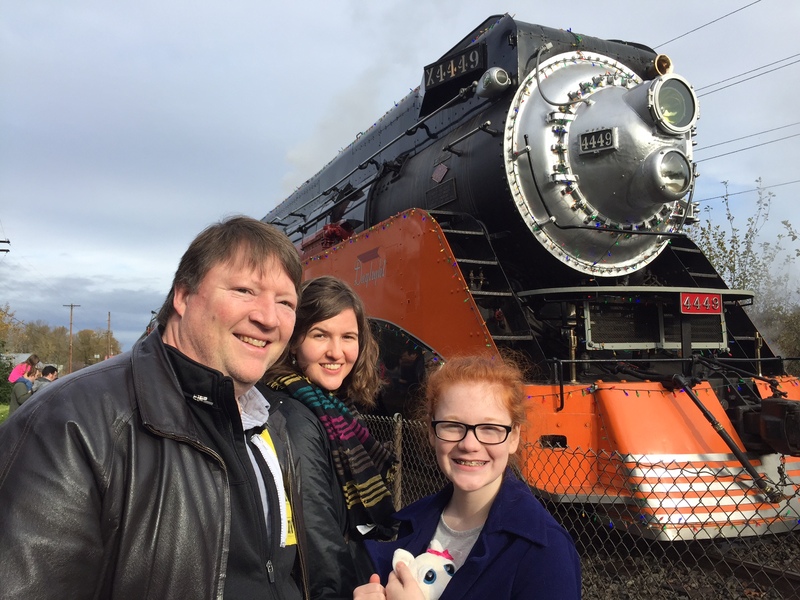 My niece, Michaela, adores trains. 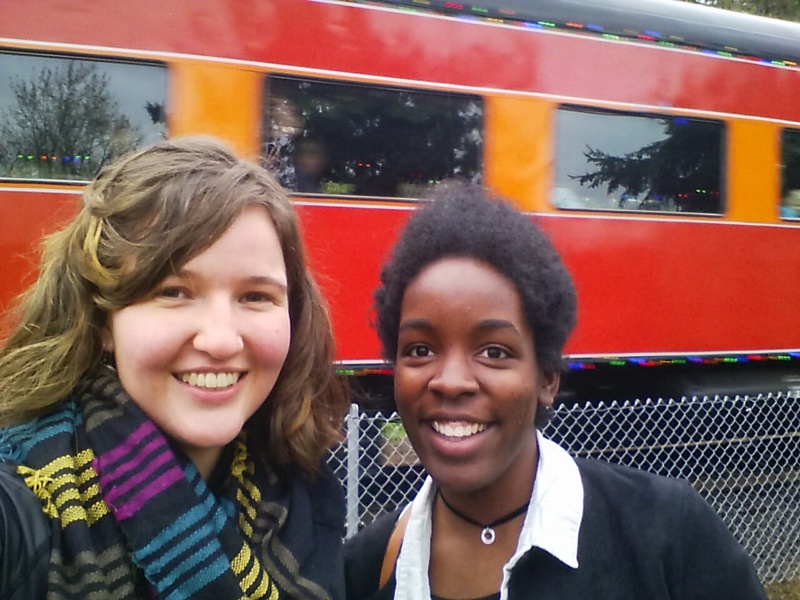 Her mother, my sister, decided to treat us all to a train ride. So, today, we went. My niece, Rachel, and Lovana took they selfie. I thought it turned out super good. I love it! Everyone enjoyed the fun experience, but Michaela was in train heaven! She LOVED the train ride. 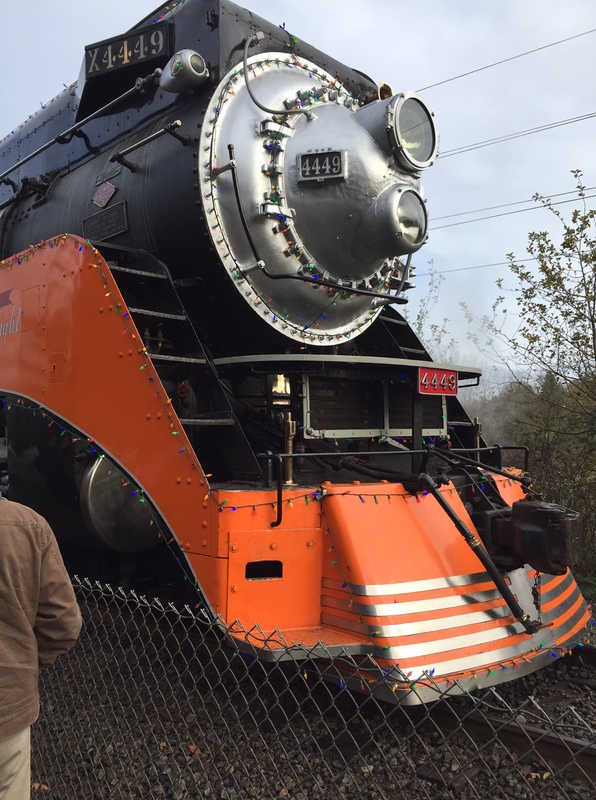 The train departed from Oaks Amusement Park in Portland, Oregon, and traveled along the Willamette River almost to the Ross Island bridge, and then returned. During the ride, we could see the river and some wetlands containing birds. We also saw great views of Portland itself. After riding the train, we ate lunches out of our car trunks, and then headed for the roller skating rink at Oaks Park. 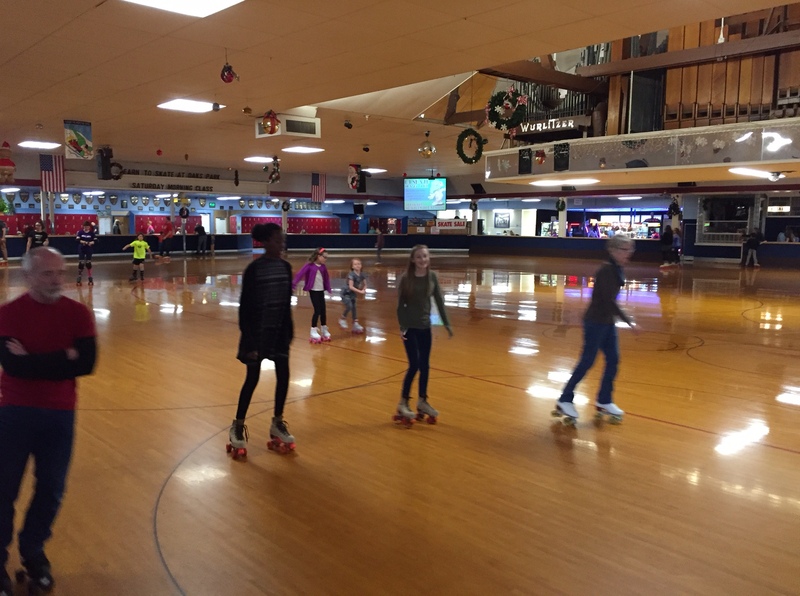 The rides are closed for the season, but the rink remains open year-round. Bless Auntie Gail’s heart! 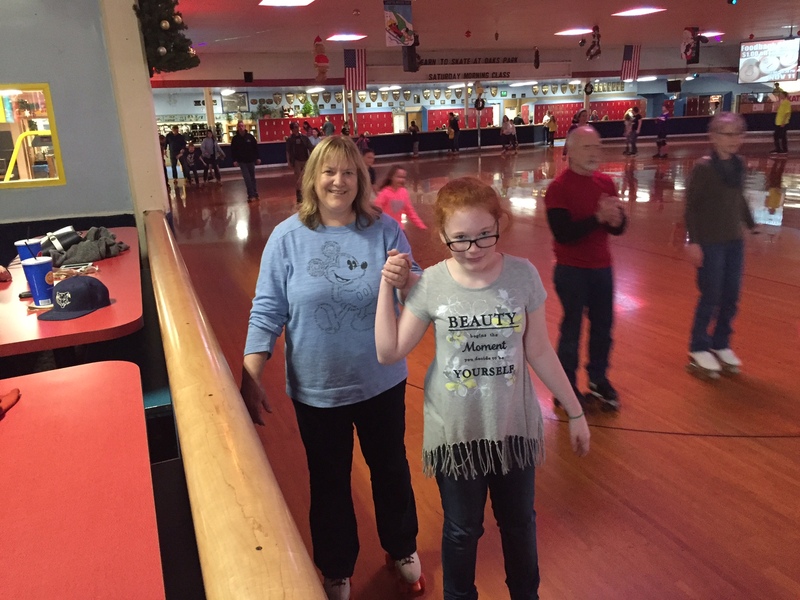 She helped Patsy skate. I watched. Although I admire her gumption, I wouldn’t want to be her tomorrow. I’m sure she’ll be sore!! 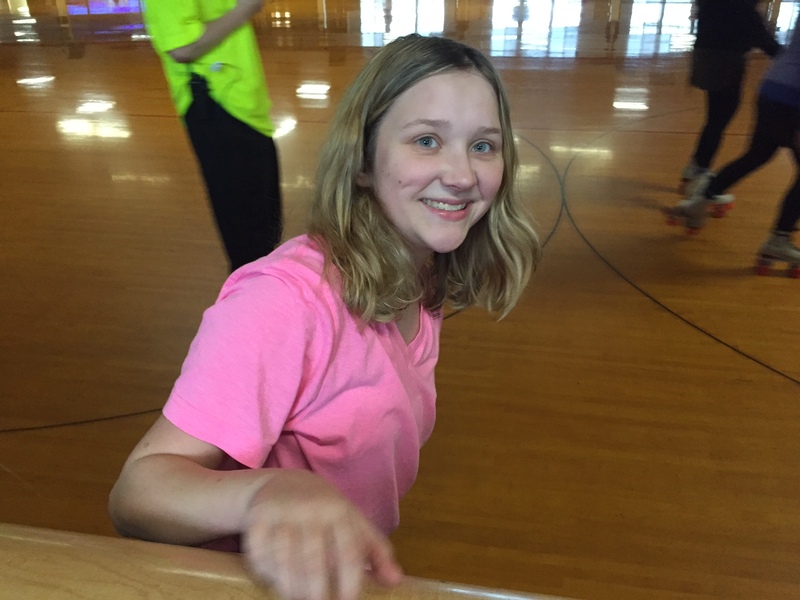 Alissa enjoyed her first time roller skating! Ja’Ana loved whizzing around with Kim, one of Alissa’s good friends. Even Michaela tried it out with help from her Mama. It was a LONG trip around the rink, but she was proud and happy that she did it! 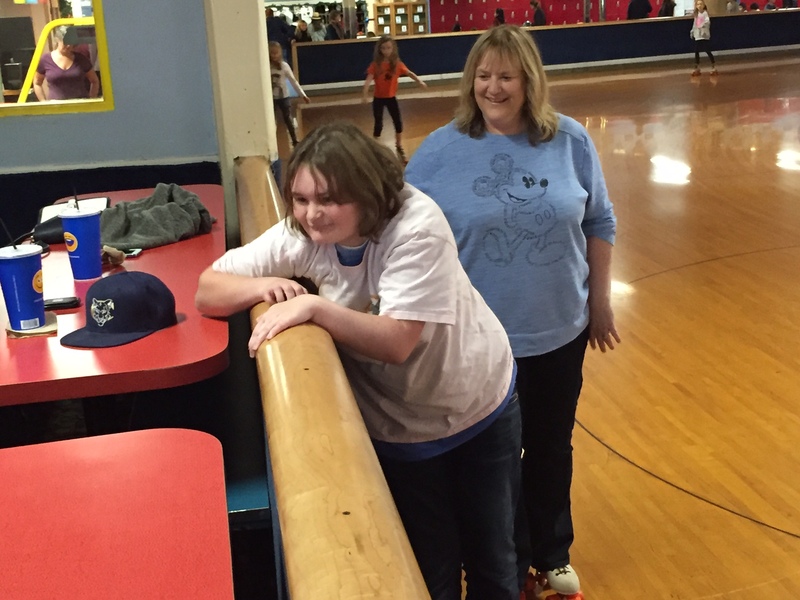 The non-skaters had a great time encouraging the skaters, sipping soda, and visiting. Afterwards, we ended the day with dinner at the Old Spaghetti Factory. 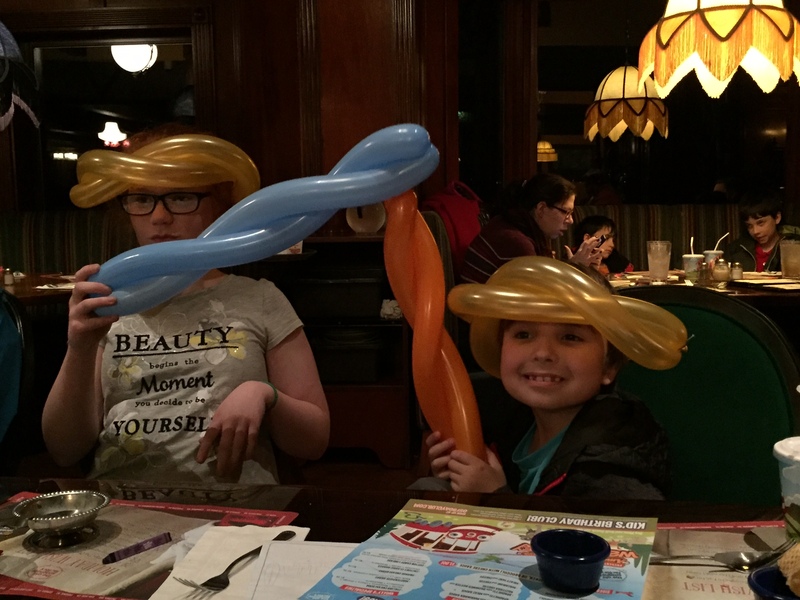 The kids enjoyed the balloon toys a roving balloon-toymaker crafted for them. It was a great follow-up to Thanksgiving Day, and gave many of us the chance to keep visiting. On the way home, we enjoyed seeing many Christmas lights that busy people had hung up while we enjoyed our day. It was a great start to our Christmas season! Wonderful experience -riding a train. I remember my first (and only) train ride. It was special. Roller skating is such great fun. I wouldn’t try it again. Heck I can’t even walk on the ground without tripping! Great fun though. I think that is the only time I’ve ridden a train except for a zoo train or Disneyland, etc. It was a short ride, but I really enjoyed it. As for the skating……I was totally not brave enough to risk the disaster I knew would happen. That sounds lovely. I love the idea of a winter tablecloth. I’m feeling very much like it would be fun to be able to spend 30 days baking and sewing! I will fit some in the cracks left of my time, because I love it, too.